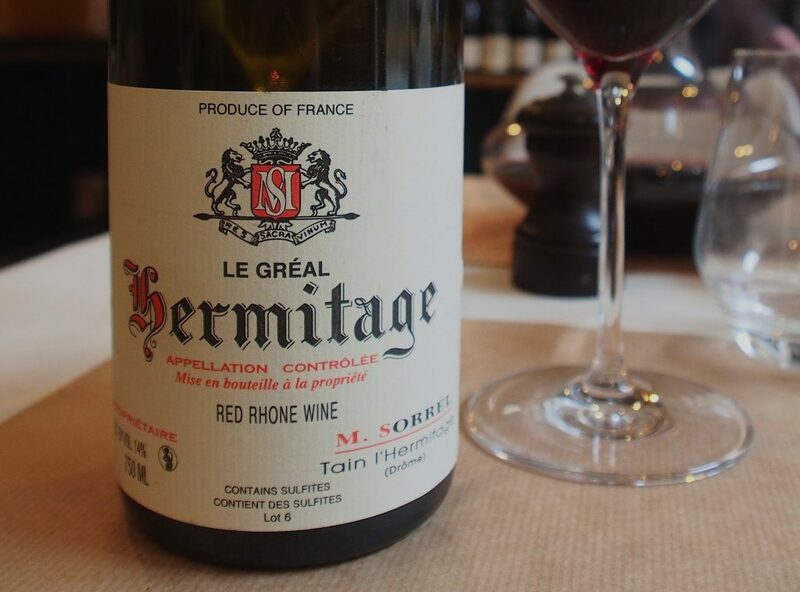 Such as Marc Sorrel’s Hermitage Le Gréal 2011. The wine that made me cry at the table. Not the first time a wine has brought tears to my eyes, but definitely among the most memorable. Travelling with Mikko and Ilkka, two devoted Rhônephiles, I felt slightly ashamed of my strong reaction. But taking a look at the boys, I realised the moment had struck us all with an irresistible force. Marc Sorrel never replied to my visiting inquiries, but after tasting this divine nectar it was easy to “forgive” him. Straight from the Hermitage heaven! It was not only about Le Gréal. The whole place made a deep impression on us. 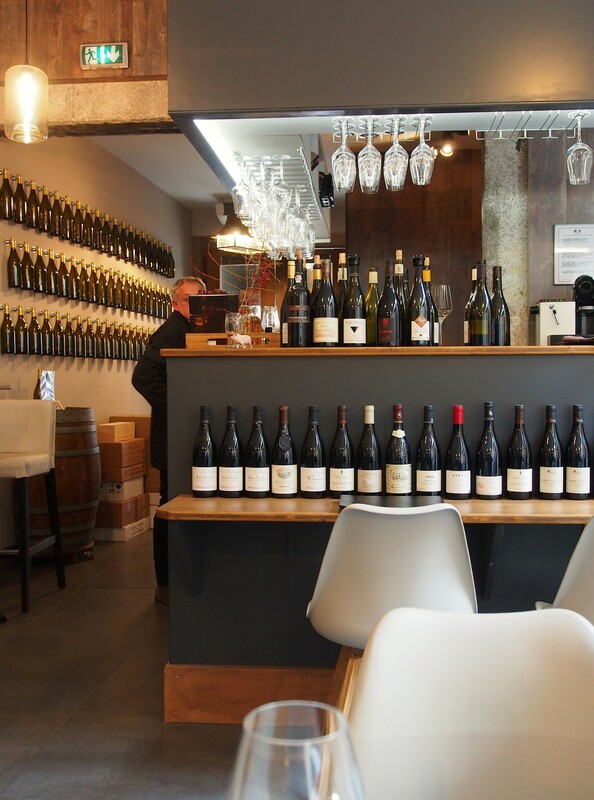 Hidden in the heart of Tain l’Hermitage, slightly difficult to find, Le Mangevins is a wonderful spot for any winelover and amateur de cuisine creatif. In the interior, blue and white shades play with warm wooden materials while the space is blessed by a beautiful light. Run by a lovely couple, Keiko Yamada plays with Japanese cooking techniques and first-class French ingredients while her husband Vincent Dollat takes care of us just as dedicatedly and warmly as a great sommelier ever can. As we ponder which vintage of Le Gréal to order, he proposes us 2011, stating it would be perfectly enjoyable already. 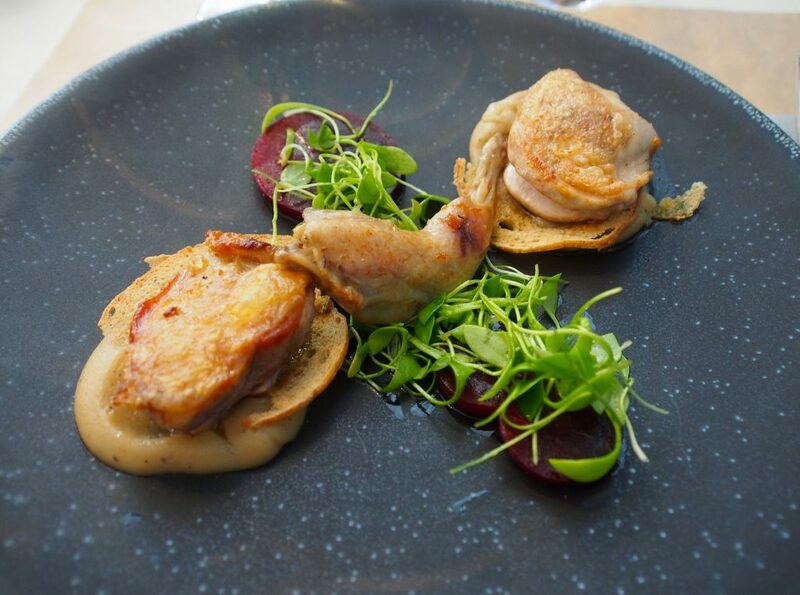 Le Mangevins serves simple and delicious, nicely priced food, like this succulent and perfectly fried quail we enjoyed as a starter before entering the Hermitage heaven. And oh boy, it is. The scent of the wine is so packed with lilacs, rose petals, yummy fruit, tea leaves, bitter almond, jasmine, liquorice root and freshly ground black pepper that my skin goes goose bumps even before I taste. That’s exactly why tasting scares the hell out of me. Sometimes a wine can offer such an amazing, earth-shaking nose that you already know there is no way the taste can equal it. But Le Gréal can. On the palate… so many layers that it’s impossible to distinguish them apart. Classic, refreshing black pepper mouthfeel followed by sophisticated reddish berries and beautifully integrated oak. Lingering, silky finish that you wish would never end. 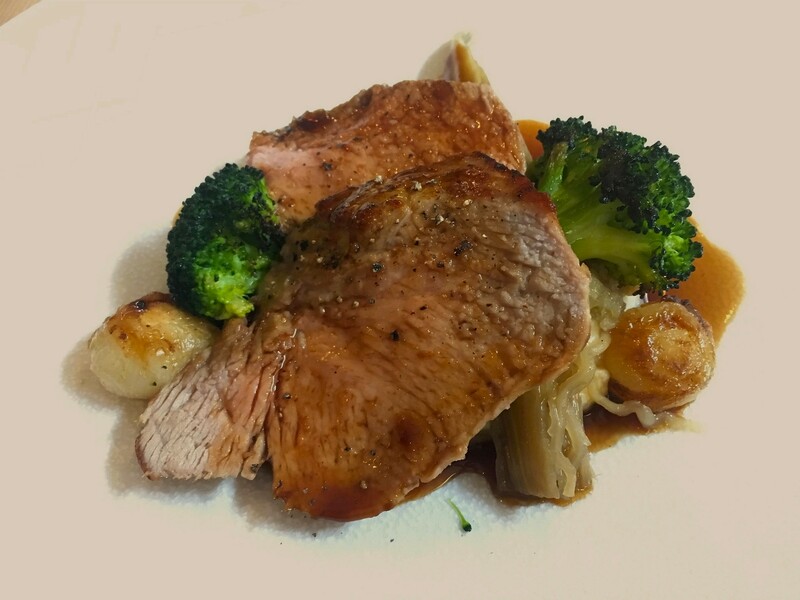 This irresistible potpourri of fragrances and flavours makes me weep while eating Le Mangevins’s delicious veal with broccoli. 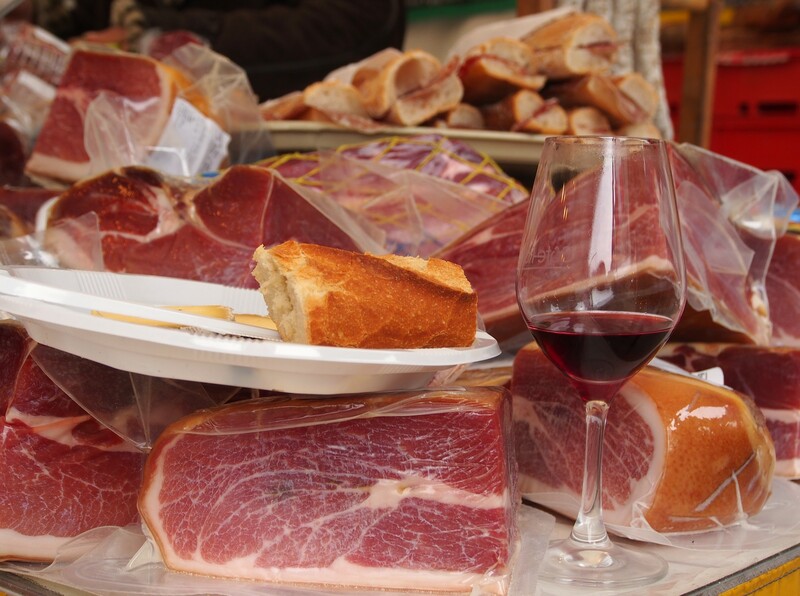 In fact, we are so convinced of Le Mangevins that we decide to book another lunch for the following day. In the heart of Rhône du Nord as we are, our second lunch also follows the red theme, but this time with a less prestigious appellation, St-Joseph. 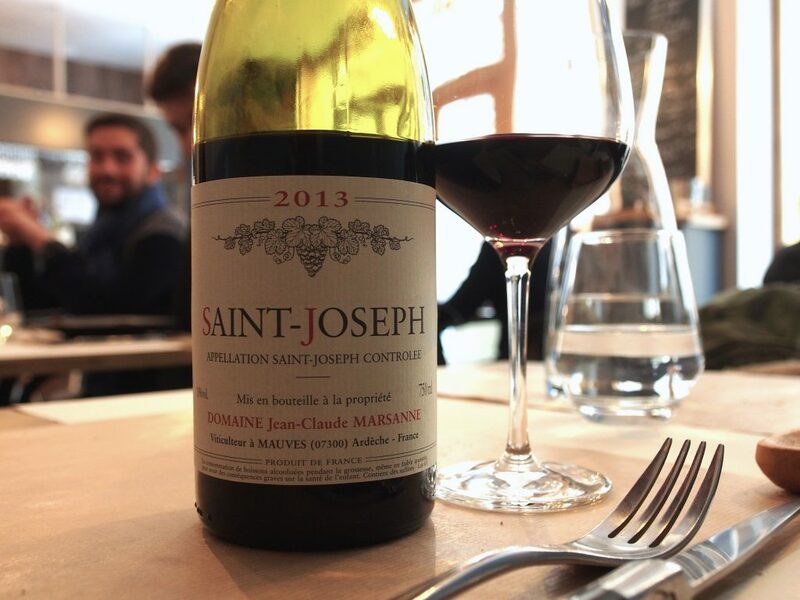 Jean-Claude Marsanne‘s unfiltered Saint-Joseph 2013 is made of very old (between 60 to 100 years) Syrah vines and fermented with wild yeasts only. Displaying perky aromas of red cherries, violets and spices, it is a perfectly light and vivid lunch wine. Our second lunch has a perfect ending as well. As an inborn aesthetic I can’t keep my eyes off the adjoining table and a smiling guy with lovely, fluffy, toast-coloured hair. While he prepares coffee installations for Vincent and invites us to taste, it turns out he is the owner of Le Richer, my Monday spot in Paris during last summer! This is exactly what I love in France: although the country is big, you always end up talking with people who are somehow linked to something you have experienced before. Well before our trip, I had contacted some winemakers based on Ilkka’s and Mikko’s suggestions and my personal wishes. 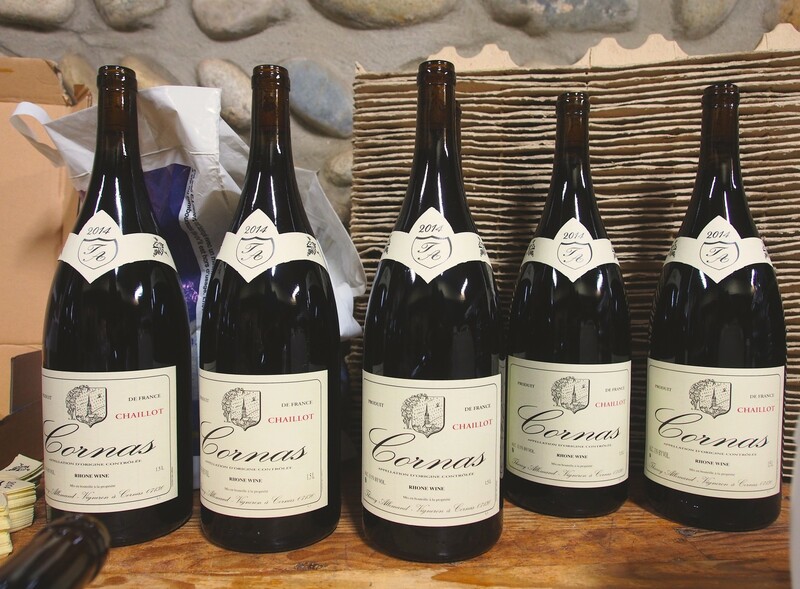 Among them was Thierry Allemand, the living legend of Cornas, the southernmost appellation of Northern Rhône. 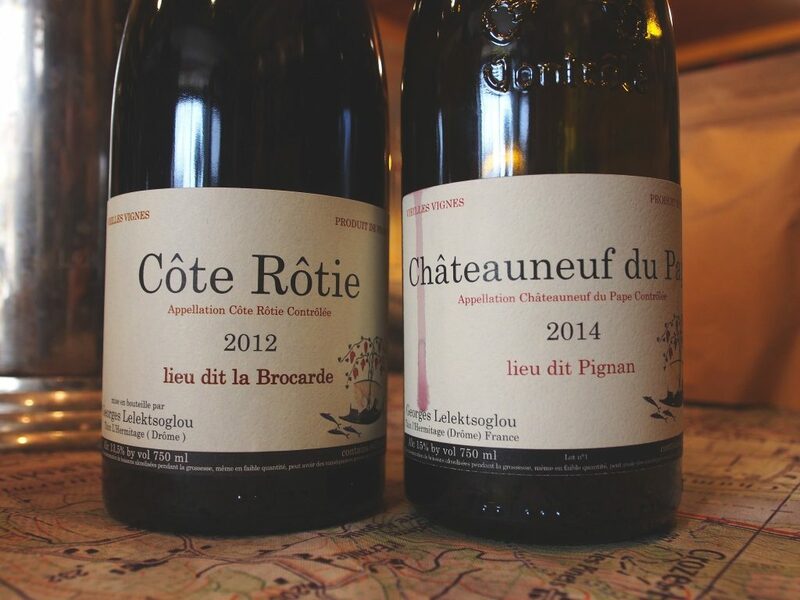 We had our doubts whether an iconic winemaker would answer us let alone invite us over, but as my philosophy is always to give it a try, I made the most of my lousy French via email. Receiving a reply within a day (!) from Thierry’s wife Emmanuelle welcoming us to Cornas, I called Ilkka. An SMS would never have been enough to inform him about his dream coming true. Unlike those stories about a pretty angry man, Thierry Allemand was a lovely and funny, slightly Gandalf-like character with admirable patience to endure with my basic-level French. The moment we approach Cornas, I start to feel vaguely ambivalent, being bitterly aware that the visit would be very demanding to me being the only one of us who spoke some French. But so far my experience has been that in France one can end up having amazing winery visits just by showing massive thankfulness, pure delight and irresistible enthusiasm towards the vignerons. As we enter the Allemand cellar, there are three other visitors. Thierry is not at home. According to Emmanuelle, he is on the vineyards with some Argentine winemakers visiting him. No problem, we start with Chaillot 2014. Superexciting, since for me this is the first time ever trying Allemand’s iconic Syrahs! Suddenly in the middle of whirling and sniffing the door opens and the maestro steps in with a bunch of Argentineans. He starts to open bottles, one by one, always asking if we want to taste “this and that”. An unanimous YES echoes in the cellar. There are times when I may link certain negative connotations with “elegance” – the wine being so well-made, so perfect, so flawless that it starts to become boring – but Chaillot, Reynard and sulphite-free Reynard Sans Souffre (only 2,000 bottles made, and not every year) are dazzling manifestations of perfectly energetic Syrah elegance. Their strength is not in powerful, full-bodied structure and overtly fruity taste, but in nicely gripping finesse and utter length. Having just gotten over my infatuation with Chaillot and Reynard 2014, we get to taste Chaillot 2012 and 2010. Sheer bliss. I am numb. We all are. The plot thickens as we continue with Chaillot 2005 and after that, Thierry serving us something blind. My guess is 1996, but it turns out to be Reynard from the 1998 vintage. Even though the wine has nearly 20 years behind, it feels so youthful that I decide to cellar my Chaillot and Reynard for a long time. And be very picky about who to invite for sharing them. 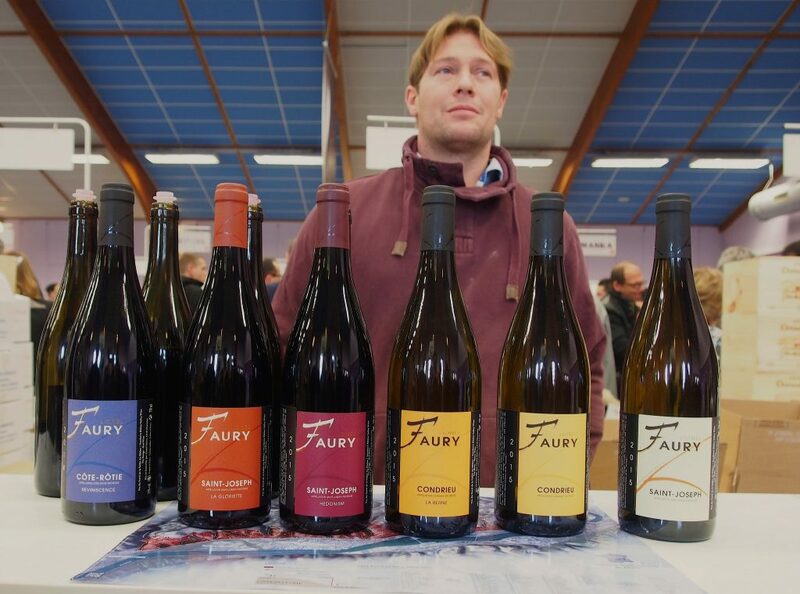 It is not every day one gets to buy Thierry Allemand’s fabulous wines. I am happy with a bottle of each, whereas Mikko opts for a magnum-sized Reynard 2014 for his son, now aged 2. I kindly ask Thierry to sign that bottle for the little chap, and when he does, you can easily imagine the satisfaction level of his father. Majestic (not Thierry Allemand’s!) 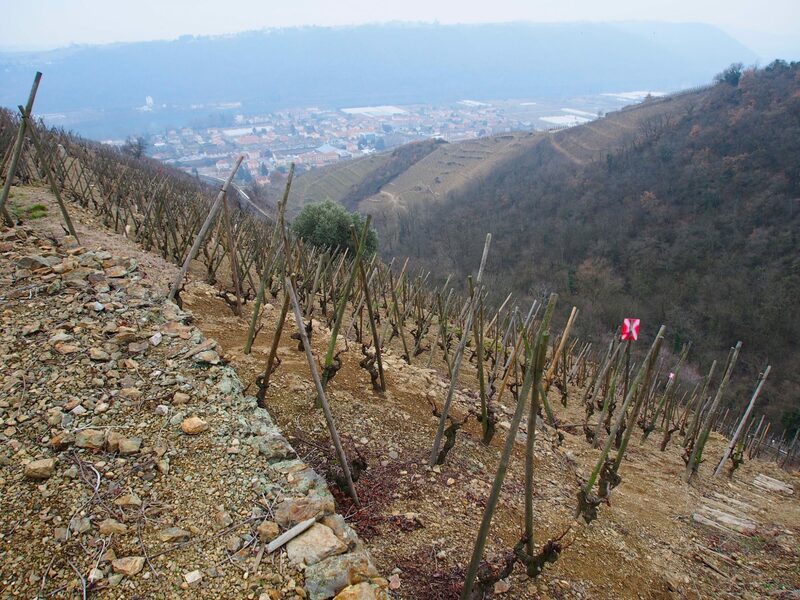 vineyards above the village of Cornas. After the Argentineans are gone, we stay for a while in Thierry’s cellar and feel really cosy despite the language barrier. Monsieur Allemand does not seem to be busy at all, so I finally dare to give him a tiny box of delicious ginger liquorice, which seems to delight him a lot. “I love ginger so much”, he whispers before we leave. I will always remember the Allemand couple and their lovely black labrador who seemed as enthusiastic about the tasting as we others were. Hopefully we’ll get back to Cornas one day. 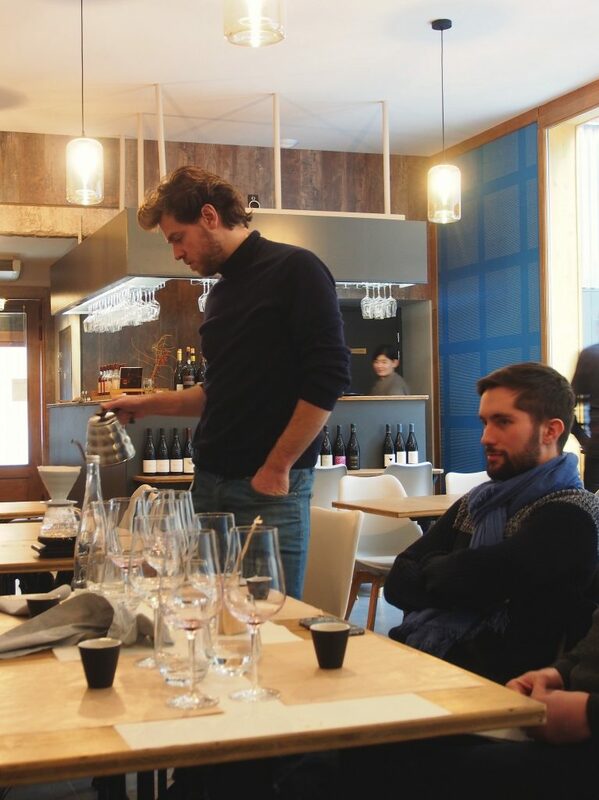 As we started to plan our trip to Northern Rhône, our principal aim was Marche aux Vins d’Ampuis. 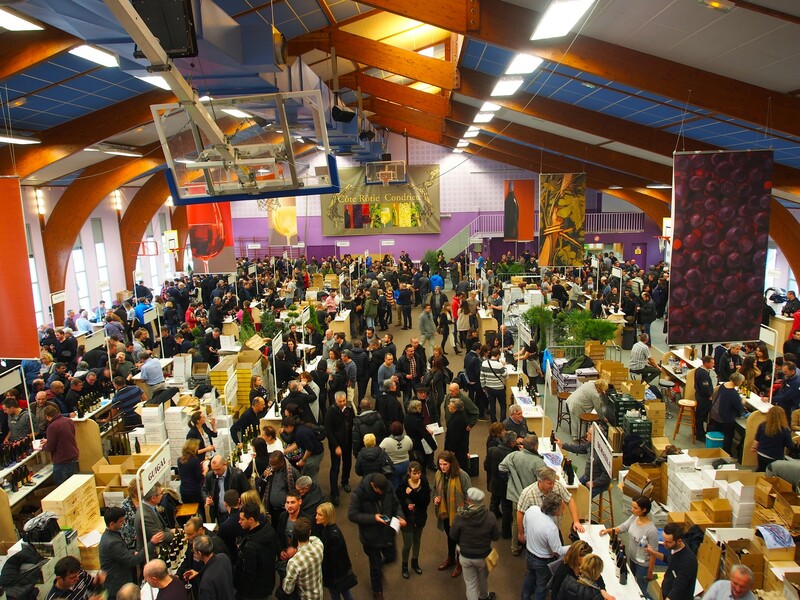 Based on two days of tasting at this annually held 4-day event, it is easy to state that the general level of the wines is high. Simply rewarding to take part in an event where you hardly encounter with nonsense. Or if there was any, I probably happened to walk by. The event had such a nice atmosphere that I definitely want to go next year again. 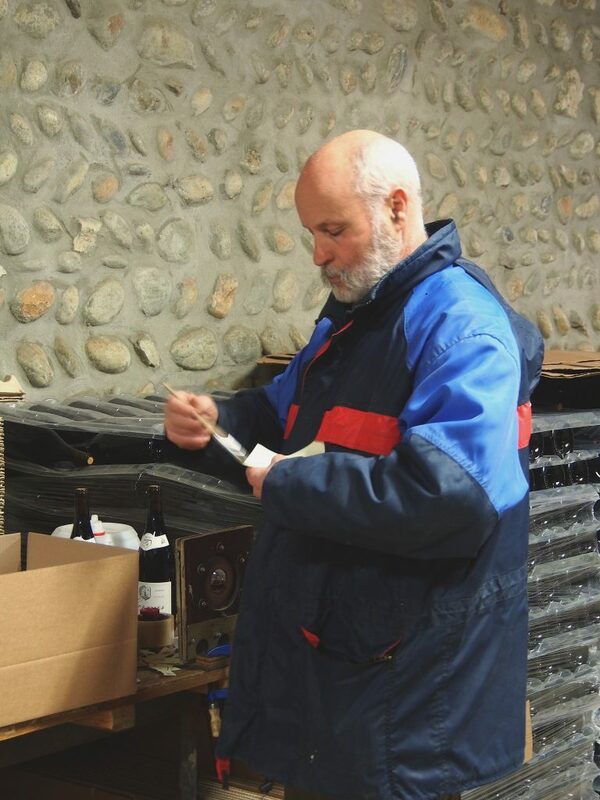 For a wine professional it was refreshing to blend among the locals, many of whom come to Ampuis to fill their cellars for the rest of the year. Unlike in Finland, also elderly people attend: you will see numerous lovely old papas who take their hat off to you for good afternoon’s sake. Love that! And the entrance? Only 8 € for a whole day. 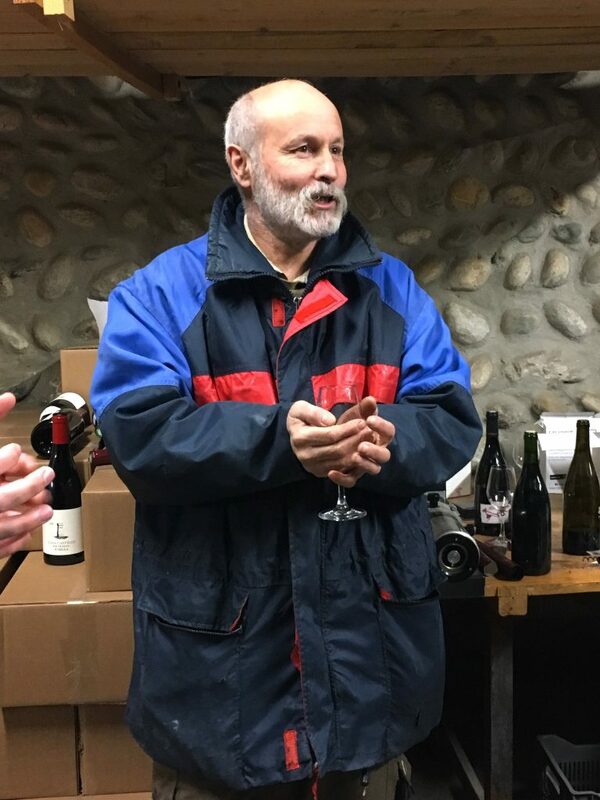 Even though Gilles Barge truly impressed me with his characterful, stylishly powerful and firm Côte Brune 2013, Jean-Michel Stephan’s natural Côte-Rôtie (2015) did the trick as always, Pierre Gaillard offered stunning value for his perfectly peppery 20 € Saint-Joseph, and Yves Gangloff‘s Condrieu enchanted me with its amazing freshness and depth of the fruit, there was one family winery that outshined the rest: Clusel-Roch. 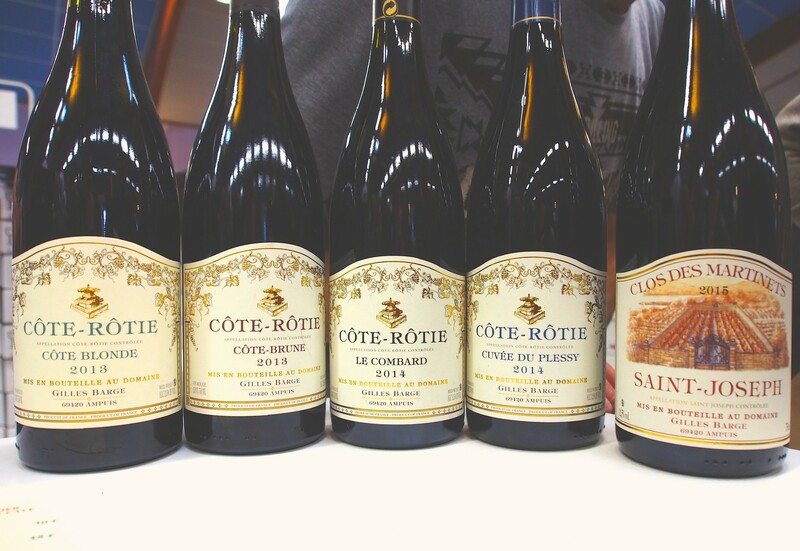 This being the first time tasting their wines, I did not have any indoctrinating pre-expectations, so when their entire range turned out to be fabulous, I felt more than happy to buy a bottle of Côte-Rôtie Classique 2007 (already very enjoyable!) to take home. In fact, their wines were so good that I had to return to the stand later in the evening. 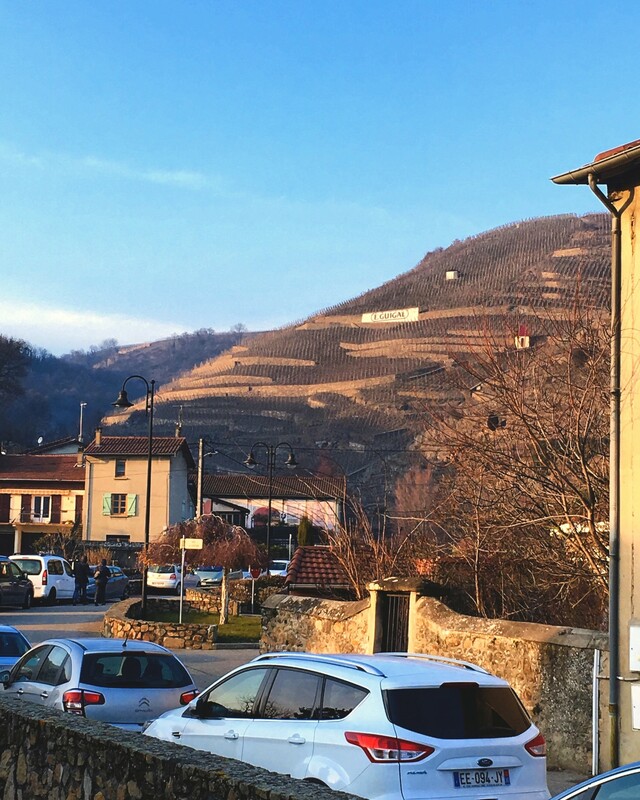 When it gets too crowded at the event, it is lovely to pop outside to marvel at these famous Côte-Rôtie hills. To be honest, I must admit I was also weirdly charmed with the austere looks of Guillaume Clusel (below). But to make it clear; their number one position on my scale was not based on any girlie infatuation, since also my fellow travellers ranked Clusel-Roch as their #1. Top-quality stuff from left to right. I loved it how they mix elegance with strength and vigour. As later in the evening we bump into Guillaume in the local hotspot, Bistrot de Serine, I feel like going to talk to him but pretend to be shy. Maybe next January? Before that I let his wines speak for themselves. Outside the event hall you have plenty of food stalls to choose from; whether it’s oysters, charcuterie or something grilled you wish to eat. 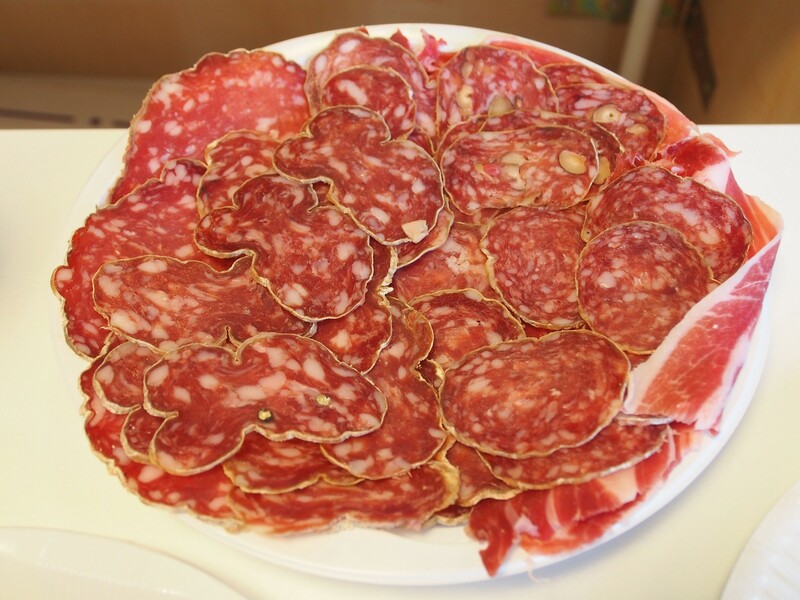 We ended up digesting our reds with a huge plate of Saucisson d’Ardèche, my major crush when it comes to charcuterie. Gangloff‘s wines were so popular that we just got to taste tiny drops of these two (they had already run out of the third one). No wonder since these people really know how to make Viognier shine like a star. And by shining I mean wonderfully fresh, fruity and vibrant white wine that is a far cry from those overtly fat and way-too-exotic spicy viogniers lacking acidity. But besides the Condrieus we tasted at the event, it was white St-Josephs we were most positively surprised with. Delicious and more-than-affordable quality stuff across the exhibitors! It was not only once that I cursed having taken the smaller suitcase with me. 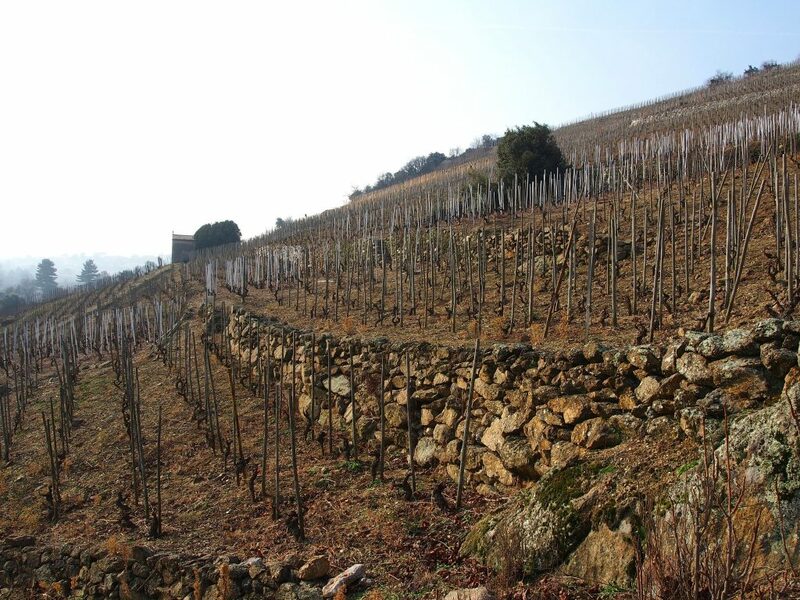 On the white side, I would also pick a talented young vigneron Xavier Gérard who makes very nice Condrieu on his steep Côte Châtillon plot just above the town of Condrieu. 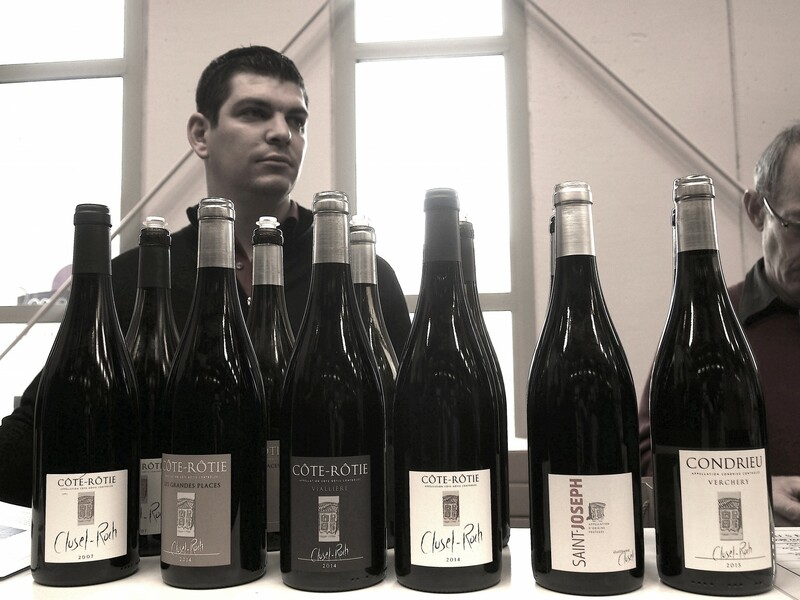 Other wines of Gérard are also worth trying, and especially his Côte-Rôtie is a star for the money you pay. Beautiful Côte Châtillon parcel of the Gérard family. 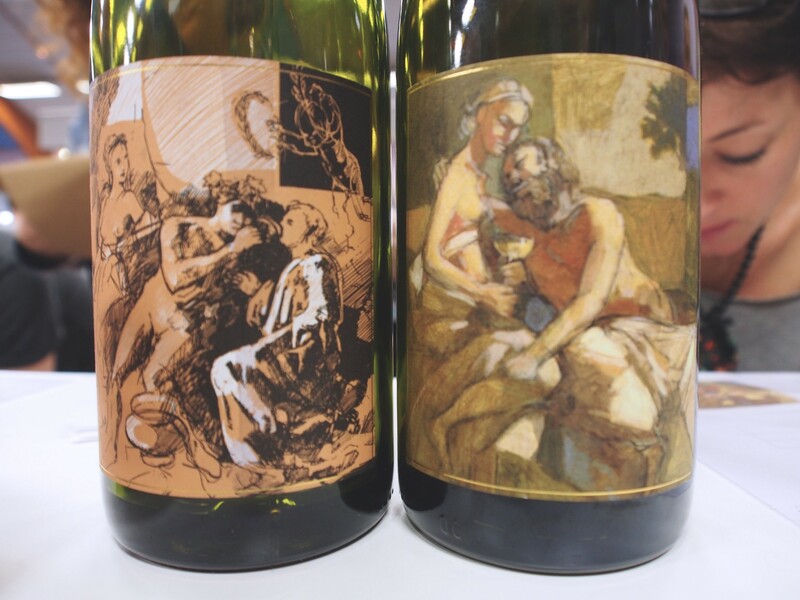 Insightful and widely travelled, Xavier released his first own vintage in 2013. Towards the evening the hall gets crowded, so it makes sense to arrive early. If you come just for drinking’s sake, nevermind, but if you wish to chat with the winemakers, avoid the evening hours. 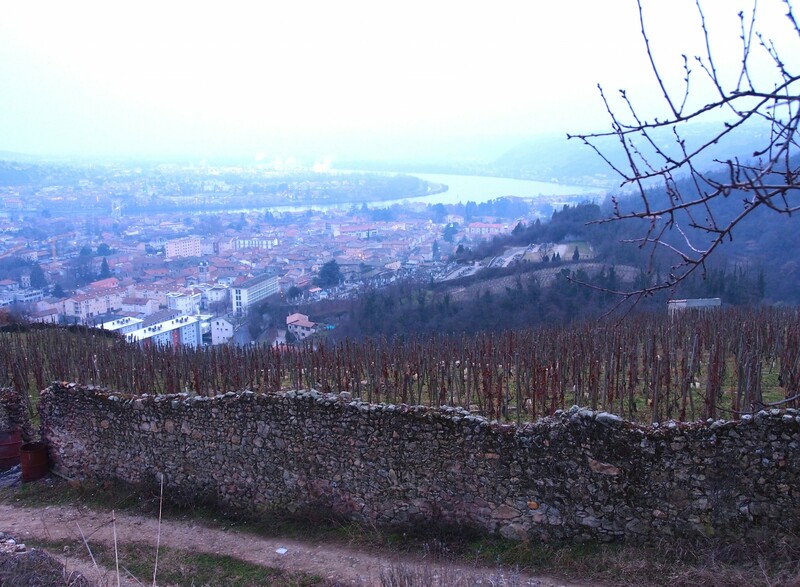 After the event we walk on steep Côte-Rôtie hills. Misty January weather destroys the most breathtaking dimensions of these famous views, but instead of complaining about the fog, the minus degrees and the ghost-like brown-gray setting, I have always considered wintery vineyards extremely beautiful in a romantically menacing way. 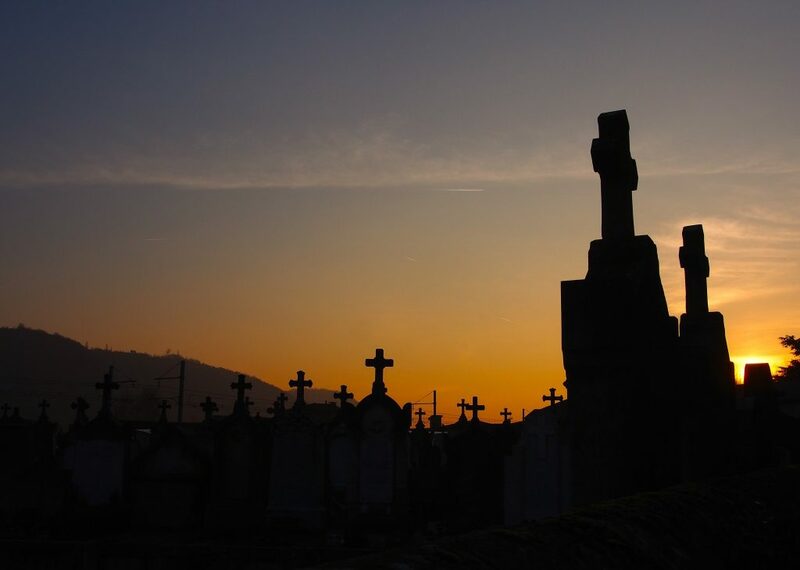 Ampuis graveyard in the sunset. The temperatures in the region sunk below -10 degrees at night. Last but not least: for buying wine, drive to Tain l’Hermitage and pay a visit to Compagnie de l’Hermitage on Place du Taurobole! This old-school wine boutique, packed from floor to ceiling, is a blast from the past with an excellent array of local wines. 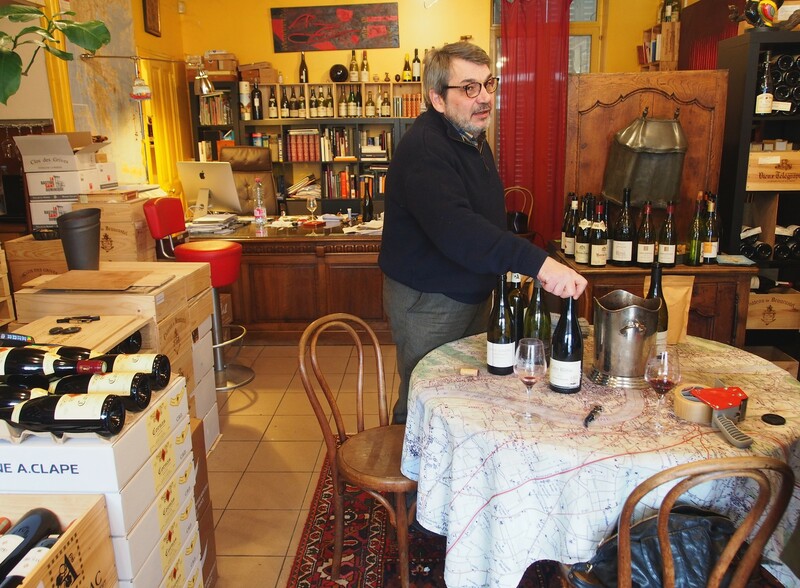 Half-Greek Georges Lelektsoglou has run his renowned, traditional wine shop for three decades. 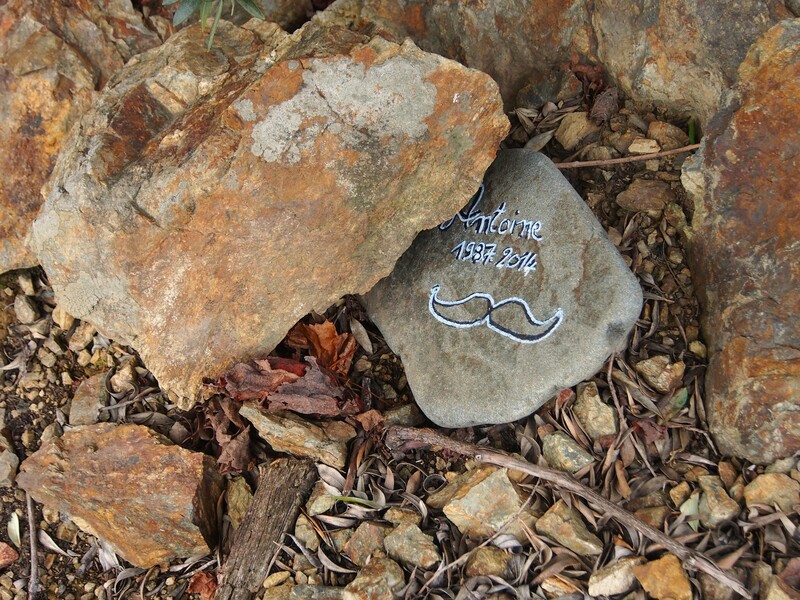 When you enter, make sure you have time as it takes a while for this monsieur to warm up. But when he does, you will get plenty of detailed information on local wines. Lelektsoglou also bottles Côte-Rôtie under his own label. Maybe one day I could taste some of your Rhone wines ! One tiny spelling mistake in the text below the blue car: scale.